The City of Dublin participates in various agency committees to ensure we are improving air quality for people that live and work in Dublin. 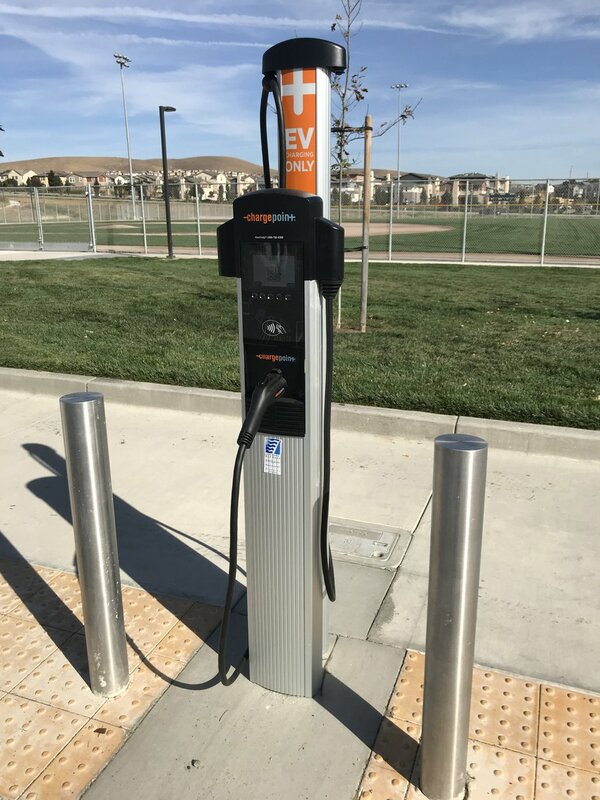 The City of Dublin has level 2 EV charging stations available for public use at the Shannon Community Center (11600 Shannon Avenue), Fallon Sports Park (lower level, Central Parkway at Fallon Road), and the Dublin Library (200 Civic Plaza). 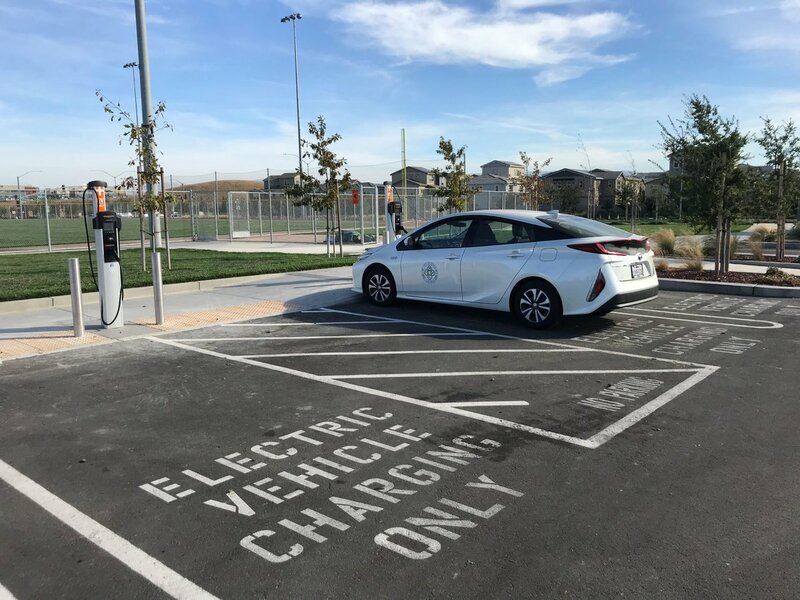 The City of Dublin established a Green Fleet Policy in 2012 that requires that the City make every effort to obtain the cleanest vehicles possible to reduce greenhouse gas emissions and improve local air quality. The City of Dublin provides a $5.00 per day commute alternative cash incentive to all eligible City employees who use acceptable commute alternatives, i.e., walking, biking, public transit, carpool or vanpool.